In technical papers, physicists generally avoid the commonplace language of "moving" or "traveling" through time ('movement' normally refers only to a change in spatial position as the time coordinate is varied), and instead discuss the possibility of closed timelike curves, which are worldlines that form closed loops in spacetime, allowing objects to return to their own past. 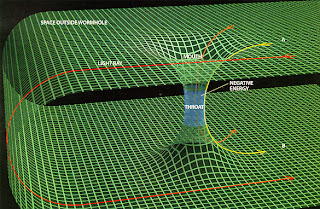 There are known to be solutions to the equations of general relativity that describe spacetimes which contain closed timelike curves (such as Gödel spacetime), but the physical plausibility of these solutions is uncertain. Relativity states that if one were to move away from the Earth at relativistic velocities and return, more time would have passed on Earth than for the traveler, so in this sense it is accepted that relativity allows "travel into the future" (according to relativity there is no single objective answer to how much time has 'really' passed between the departure and the return, but there is an objective answer to how much proper time has been experienced by both the Earth and the traveler, i.e. how much each has aged; See twin paradox). On the other hand, many in the scientific community believe that backwards time travel is highly unlikely. 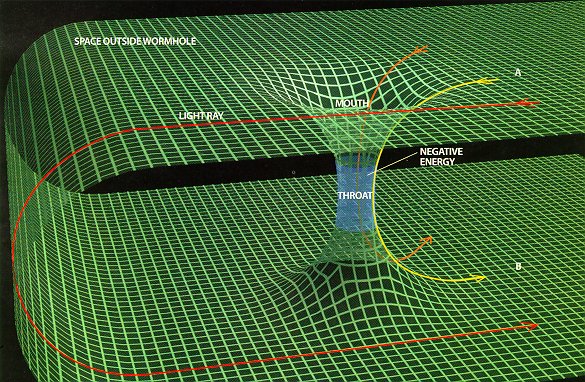 Any theory which would allow time travel would require that problems of causality be resolved. The classic example of a problem involving causality is the "grandfather paradox": what if one were to go back in time and kill one's own grandfather before one's father was conceived? But some scientists believe that paradoxes can be avoided, either by appealing to the Novikov self-consistency principle or to the notion of branching parallel universes .